Black Friday was last week … Cyber Monday was yesterday … we must have all of our shopping done … right? I sure don’t! It will get done, but right now I’m ready to bake cookies and I did. 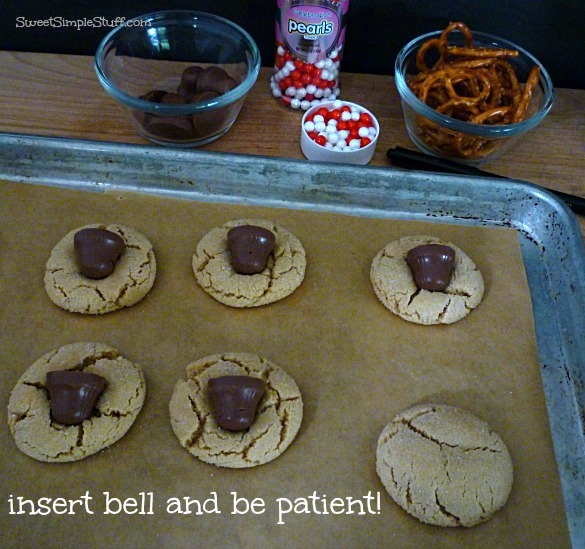 Do you like those peanut butter cookies with the chocolate candy kiss in the middle? 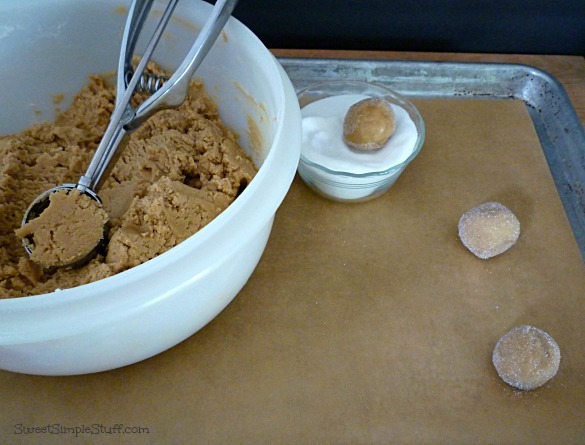 Well, you’ll love these cookies! 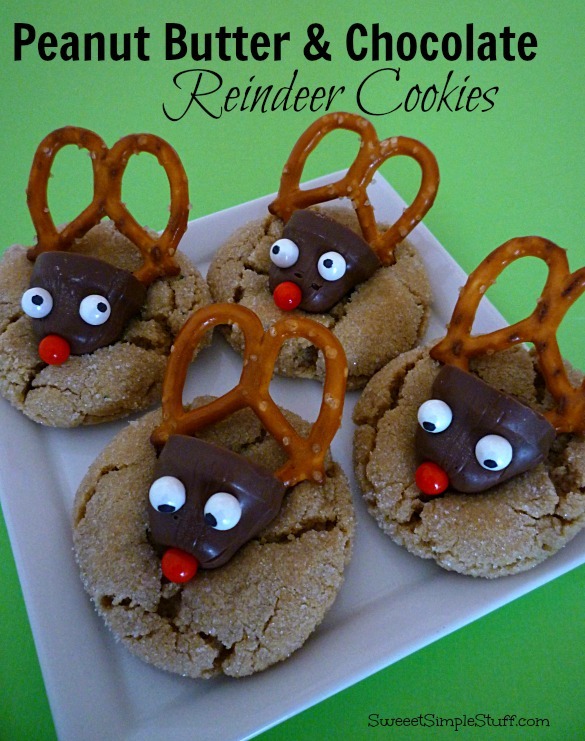 They are not only peanut butter cookies … the chocolate that you see, also has peanut butter filling and they are reindeer! We are done!!! 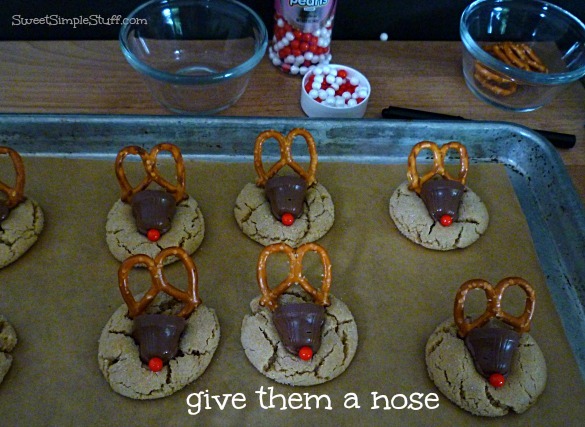 Shall we sing Rudolph the Red Nosed Reindeer … oh, go ahead and have some fun! Are you baking, shopping or ??? I always enjoy your comments! Thank you Rebecca 😉 Make them … they will make you happy! So much fun! I’m pretty sure my husband would have been drooling and impatiently waiting to eat some too. Thank you Beth 😉 Husbands seem to hang around the kitchen while cookies are in the oven! I ended up making these for a cookie swap, I learned a few things. 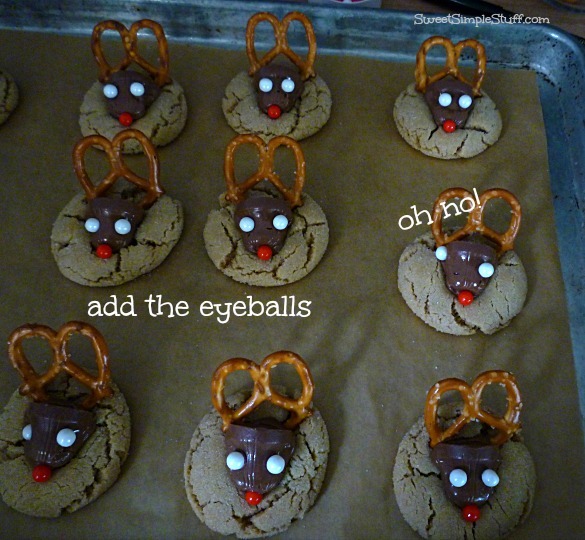 I bought the Hershey bells and added the eyes from Michaels craft stores with frosting and then a cinnamon hot for the nose with a dab of frosting. I then froze all 144 heads in my freezer. 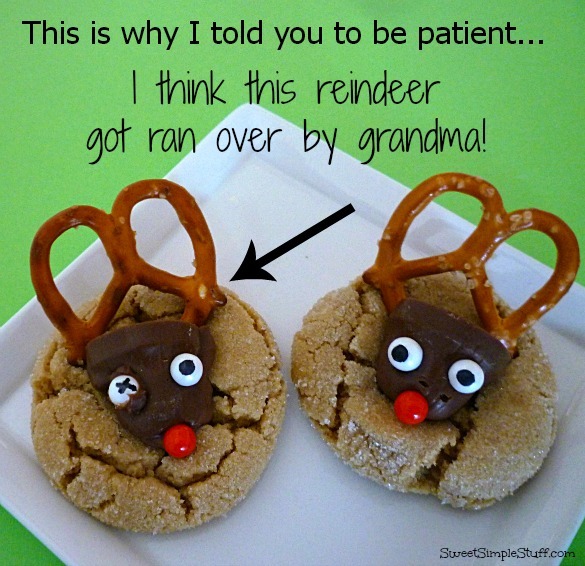 I found that by having them frozen it was easier to place them in the cookie when they came out of the oven. 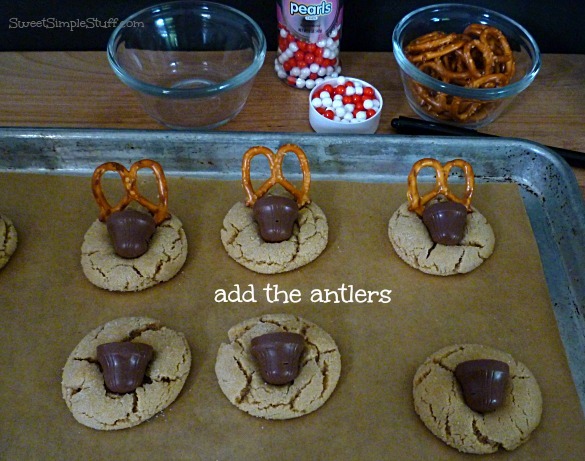 So I stuck the heads in and then added a dab of frosting behind it and placed in the pretzel for the antlers. They were a hit at my cookie swap but a lot of work for 12 dozen!!! Thanks for this great recipe! Kim … 12 dozen !!! Kudos to you 🙂 I am happy that you found a system that works for you … we can all learn little tricks from each other … thank you for sharing! LOL They are so CUTE. 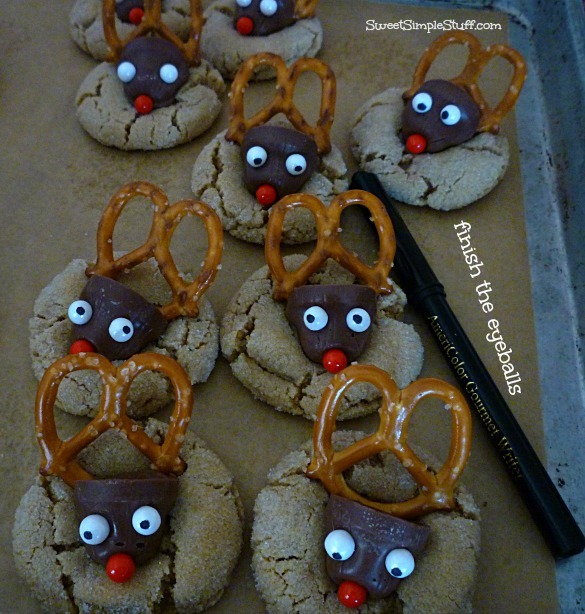 These reindeers are adorable. You always come up with the cuties ideas. 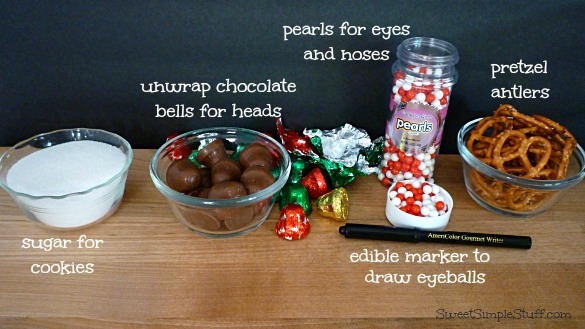 I was thinking maybe about using/ trying white chocolate chips for the eyes, point side down and using edible black marker for dot in center of eye. Have a wonderful and enjoyable weekend and stay warm. It’s getting cooler here in Los Angeles … rain on Saturday! Come back tomorrow for more cookies! 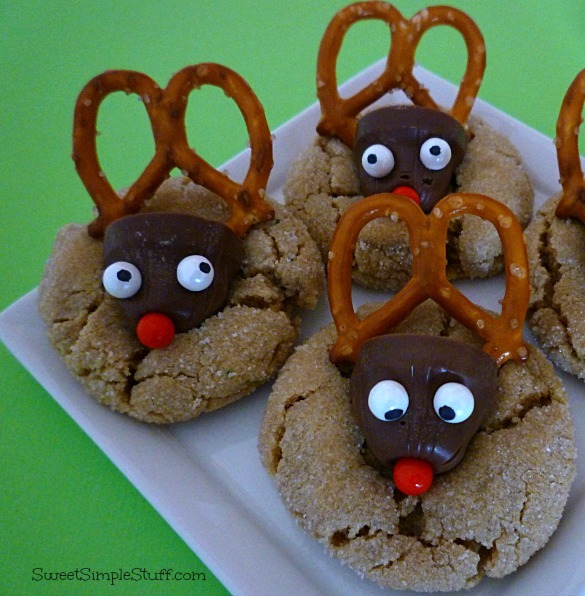 These cookies are just too adorable! I think we’ll be making these for Reese’s class 🙂 Pinned! Those are so stinking cute!! !